Thomas the train wasn’t around yet when I was a kid, but if he was, I probably would’ve been really into that, as I loved reading about trains when I was little (although their faces kind of creep me out). In fact, two of my favorite Little Golden Books were The Little Engine that Could and The Little Red Caboose. And now your little engineers can go on globetrotting adventures with Thomas and his train pals with Thomas and Friends Adventures. They’ll build railroad tracks and compete in train races, all the while learning about different cultures and countries, as well as relatable lessons like being scared, telling the truth, making friends, and more along the way! Thomas and Friends Adventures is a free to start app you can download on iOS and Android devices, but reviewed on iPad here. The final installment in the How to Train Your Dragon trilogy just hit theaters recently, and now you can have even more adventures with your favorite dragons and Vikings with Dawn of New Riders. It’s available on most current home consoles, but reviewed on Switch here. Even though there are events from the third movie happening in this game, Dawn of New Riders is a whole new adventure. In this game, you play as Scribbler, a Viking scholar who has lost his memory. He finds himself on an island refuge for dragons and must fend off trappers. He finds a dragon egg that soon hatches into a new friend: Patch. Together, Scribbler and Patch embark on a 2-D top down Zelda-like adventure to save the dragons. Along the way, they’ll meet up with several familiar characters from the movies and cartoon series, including Hiccup, Toothless, Astrid, and more! In one of the early LEGO Batman games, one of the best parts was that after you beat the main story mode, you could go back and play as the bad guys. And now there’s a whole game featuring a cascade of DC Comics villains in LEGO form. In many comics, like Batman, oftentimes the bad guys are more interesting than the heroes themselves. In the new LEGO game, Lex Luthor is breaking out of prison and the Joker is on a crime spree. But when the Justice League try and stop them, the heroes mysteriously disappear, only to be replaced by new ones called the Justice Syndicate. But are these new heroes really all they seem to be? Either way, Lex Luthor, the Joker, Harley Quinn, and the rest of the bad guys are going to have their hands full in this new LEGO game. It’s available on nearly all current consoles and PC, but reviewed on PS4 here. Characters from Cartoon Network’s recent shows have gotten together for a party, from We Bare Bears, The Amazing World of Gumball, and Ben 10. But bad guys have come to crash their bash, so now it’s up to you to help those characters dash through vertically downward scrolling stages, for some reason. Cartoon Network Dash Party is free-to-play on iOS and Android devices, but reviewed on iPad here. For several generations, youngsters have enjoyed watching shows on the Nickelodeon cable channel for kids. Heck, even when I was a little kid back in the 80’s, I enjoyed watching Nick shows such as You Can’t Do that on Television, Danger Mouse, and Double Dare. Even more recently I’ve been known to watch shows on that channel like Invader ZIM and The Penguins of Madagascar. My younger brothers would watch shows on Nickelodeon, too, such as Rugrats and SpongeBob Squarepants. And now kart racing and Nickelodeon fans can have fun together with Nickelodeon Kart Racers, available for nearly all current consoles, but reviewed on Switch here. Kids cable channel Nickelodeon has a block of shows for younger viewers (and a channel now, too) called Nick Jr. Nick Jr. has had many popular shows over the years, like Blues Clues and Dora the Explorer. The most recent hit show from Nick Jr. has got to be Paw Patrol. In this computer animated cartoon, a boy named Ryder has a team of puppies, each one represented by a community-minded job like police officer, firefighter, etc. So with his team of helpful and loveable pups, Ryder helps out the citizens of Adventure Bay with any problems they may have. No job is too big, no pup is too small, as he says. Now your child can help out, too, with a new Paw Patrol game for consoles (reviewed on Switch here). Earlier this year, we got a new Star Wars movie based on Han Solo’s adventures before he met up with Luke and friends. I read that it bombed in theaters, which is a shame because I thought it was pretty good! I think I even liked it better than The Last Jedi. 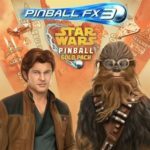 But now you can enjoy the movie in pinball form with Pinball FX3’s Solo: A Star Wars Story pack, downloadable for PS4, Xbox One, and PC (reviewed on PS4 here). For nearly every little girl who loves to play with Barbie dolls, the ultimate dream is to own Barbie’s Dreamhouse, a giant dollhouse for Barbie and her friends. And now your little girl can have that dreamhouse without having to put in a second mortgage and spend all night putting it together. 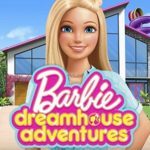 The Barbie Dreamhouse app is available to download on smart devices (reviewed on iPad here) and is basically a virtual dollhouse featuring Barbie and her friends. I read there’s apparently a Netflix show about it, too.